Kroger buys local. The national supermarket chain offers dozens of Kentucky Proud products in Kroger supermarkets that are served by Kroger districts in Kentucky. 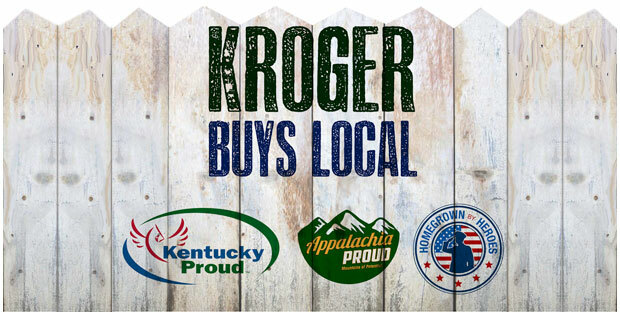 Kroger’s commitment to local producers means its customers have a greater variety of products to choose from while Kentucky Proud farmers and small agribusinesses have new markets for their products. In September 2015, Kroger joined with officials of the Kentucky Department of Agriculture to announce that it would add 58 Kentucky Proud items from 24 vendors in 16 northern Kentucky supermarkets, beginning with an order for the first week totaling $50,000. The announcement built on a relationship between Kroger and Kentucky Proud that began in the summer of 2014. Kentucky Department of Agriculture staff met with Kroger executives to discuss a partnership to expand Kentucky Proud products in their stores. The discussion initially focused on 100% Kentucky Proud Popcorn but soon turned into a major launch involving multiple Kentucky Proud vendors. When all was said and done, Kroger had agreed to launch 125 new items from 34 Kentucky Proud members in 88 Kroger supermarkets served by Kroger districts in Kentucky. The first order totaled $350,000 and filled 10,000 square feet of warehouse space, making it the largest single transaction in Kentucky Proud history. Kroger already had deep Kentucky roots with 109 retail stores and three manufacturing plants in Kentucky. Kroger has invested $253 million in capital for new and expanded stores in Kentucky in the past five years. No stranger to Kentucky Proud and Kentucky producers, Kroger offers 50 varieties of Kentucky-made wine, and in 2013 Kroger bought more than 250,000 cases of fresh, locally grown produce from some 25 Kentucky growers and suppliers. Also that year, Kroger bought more than 35 million pounds of meat from four Kentucky processing plants. 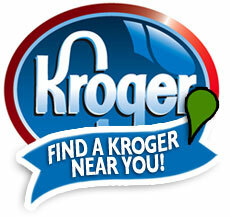 There are 103 Kroger stores served by Kroger districts in Kentucky. You can find many Kentucky Proud products at one of these stores.